Many people like to have a little twist in their cakes. This is exactly what our crunchy black forest cake offers. 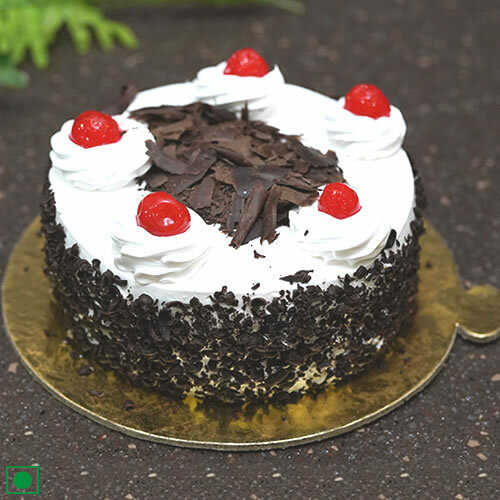 You can now easily send crunchy black forest cake Jaipur with our help. You just have to go to our website to buy crunchy black forest cake online Jaipur. We provide the best online crunchy black forest cake delivery in Jaipur. The process for online crunchy black forest cake order in Jaipur from our site is pretty hassle-free. Gift Jaipur offers you the best crunchy black forest cake delivery online experience. You will have no complaints against our product and services.